We learned from multiple sources, specifically Comey’s testimony that the dossier was fake. And now we know who actually faked it. 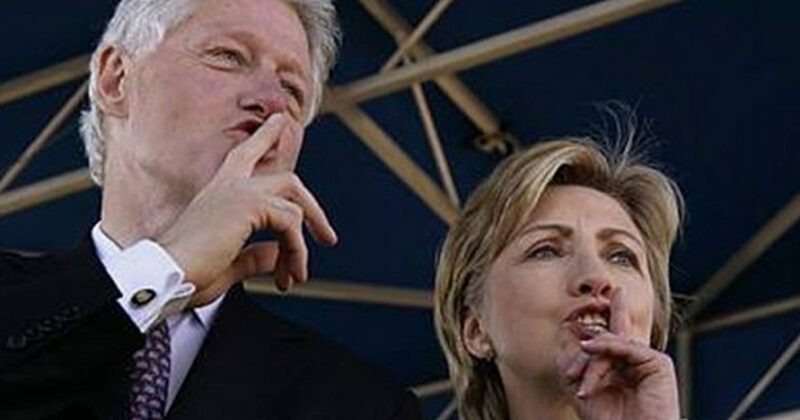 According to the New York Post a “secretive Washington firm” that supports Hillary Clinton created and promoted the unverified intelligence report on President Donald Trump. The firm is Fusion GPS. From its Wikipedia page says, the organization refers to itself as a “commercial research and strategic intelligence.” However, as the New York Post suggests, Fusion operates like a Republican opposition-research firm. More specifically, Fusion operates like an anti-Trump, pro-Hillary Clinton front. “These guys had a vested personal and ideological interest in smearing Trump and boosting Hillary’s chances of winning the White House,” an unnamed source told the Post. Fusion finds itself at the center of an investigation by the Senate Judiciary Committee. And as the Post article reports, the Senate committee has threatened to subpoena the firm to answer questions about the dossier that they’ve allegedly so far refused to answer. This revelation doesn’t bode well for the Clintons, the Obamas, the media, or progressivism. The organization touches almost all the major players of the Left. Further, Fusion has a long history of working toward progressive interests. During the 2012 presidential election, Democrats hired Fusion for opposition-research against then-Republican nominee Mitt Romney. Let’s face it; Democrats need damage control now more than ever. So Fusion needs to answer a few questions. First, how heavily did Comey’s FBI rely on the information from the faulty dossier in their intelligence investigation into Trump’s presidential campaign? Further, Senate investigators also want to see any communication between Fusion and former Attorney General Loretta Lynch. Americans now know that Lynch interfered with the investigation into Hillary Clinton. And if Special Counsel Mueller wishes to have any credibility, he now must concede that Lynch attempted to influence a U.S. election. We learned that based on Comey’s testimony, Lynch is now under investigation for potentially interfering in the FBI’s investigation into Clinton’s private email server. Why is the dossier important? Because if Fusion created a fake document to launch a fake investigation, they are in big trouble. However, if Clinton or her operatives commissioned this fake report, we would have the most explosive story of the decade. Consider the number of left-wing media outlets who chose to run with this story? The outlets who chose to run this unverified story could be accused of collusion with Clinton. Thus, they would be complicit in interfering in a U.S. election. As I have written, Democrats had no idea how the Russia farce would play out. They figured they could exert enough influence on public opinion that the truth wouldn’t matter. A weakened media added to a Democratic Party known for lying killed the strategy. Now leftists up and down the food chain find themselves hanging precariously out to dry. Donald Trump has merely played the interested spectator in this self-induced public lynching of the Left. For Trump, this soap opera is “business as usual” in the fast lane. Our only knowledge that he gives a crap is the occasional tweet reminding people that he’s winning.